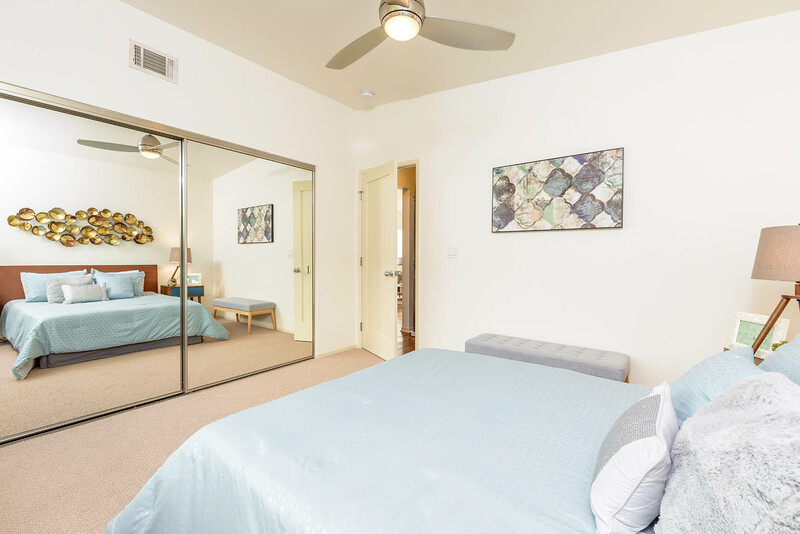 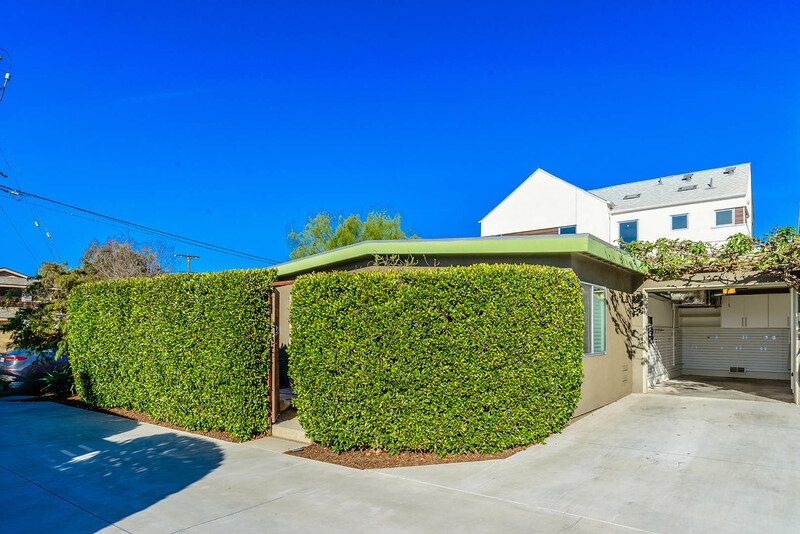 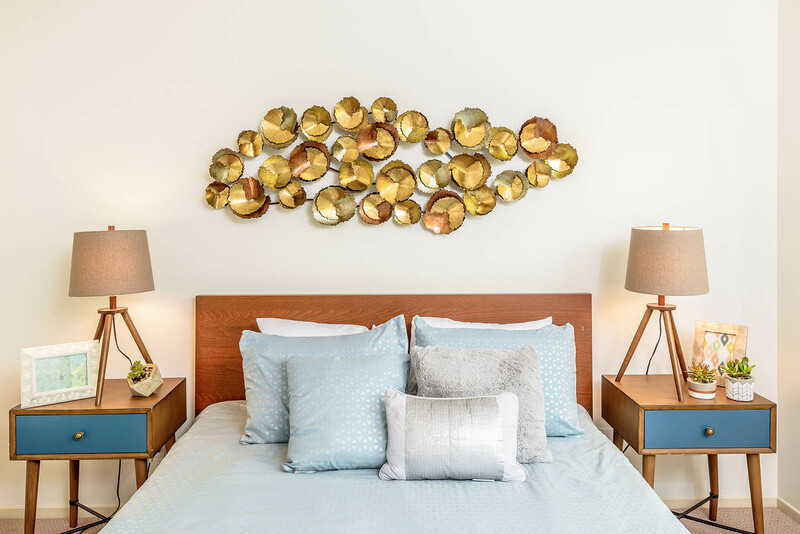 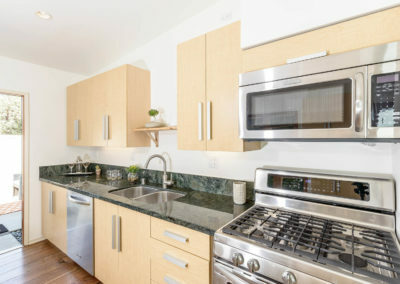 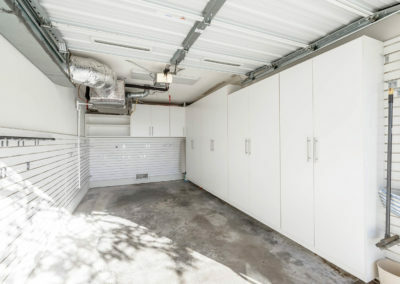 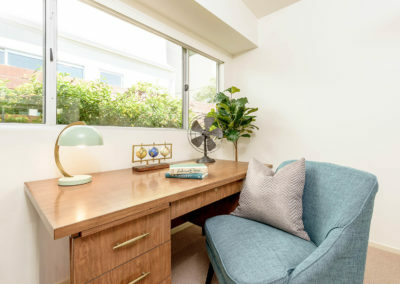 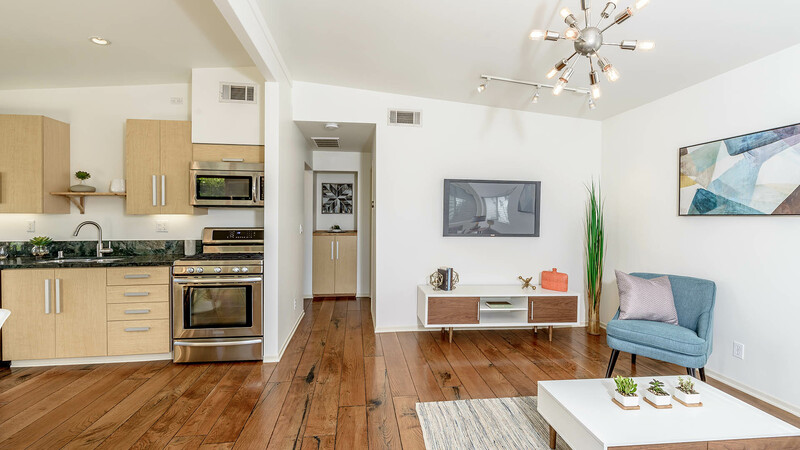 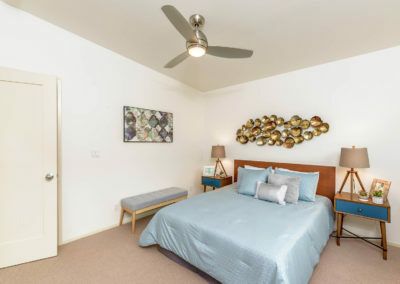 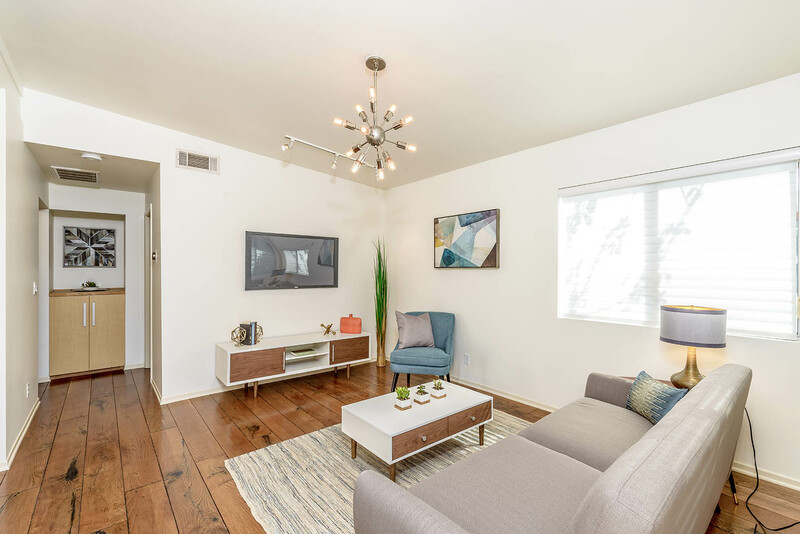 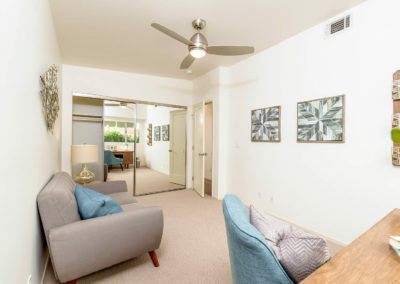 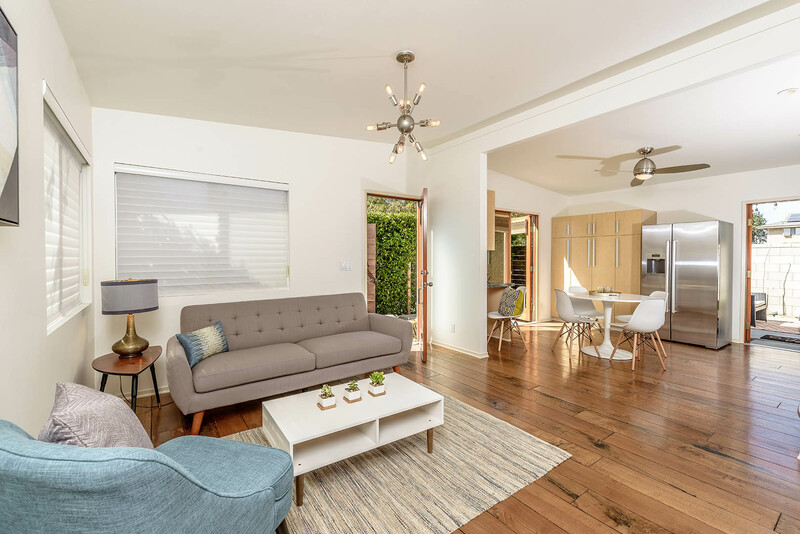 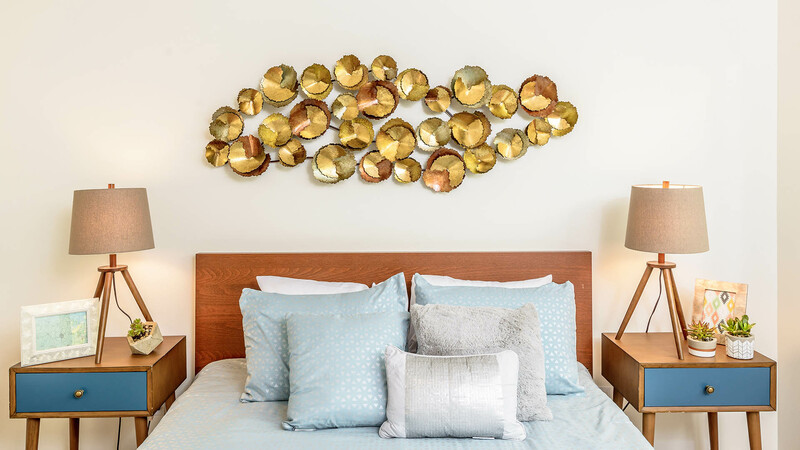 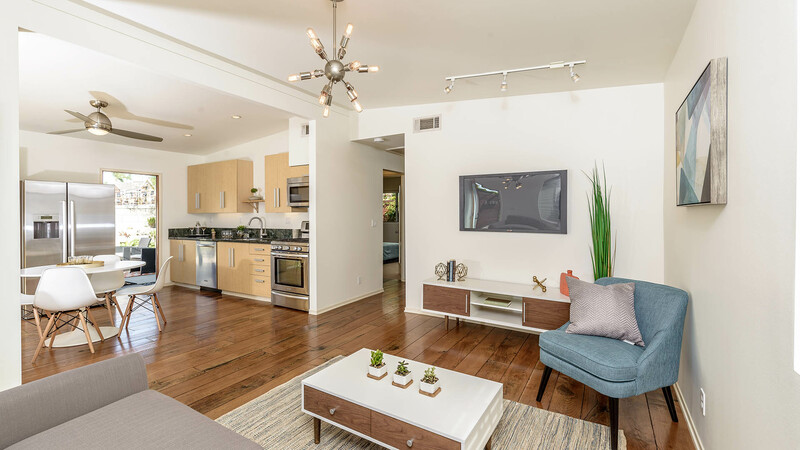 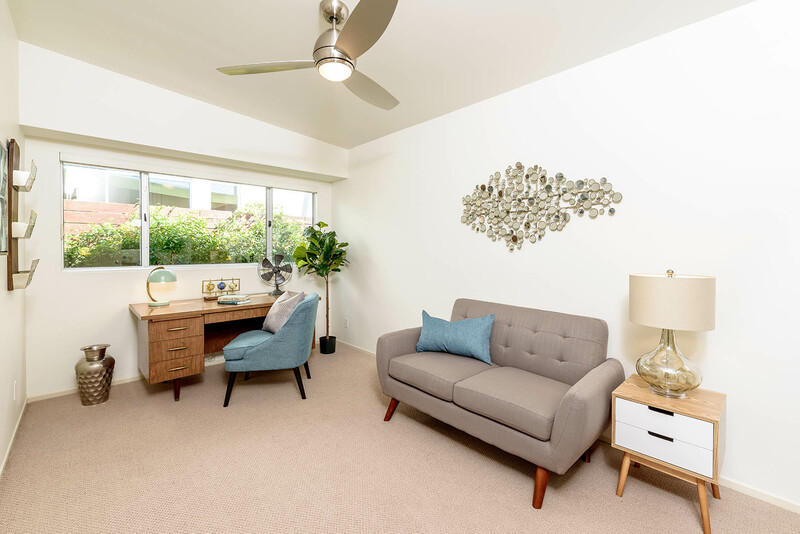 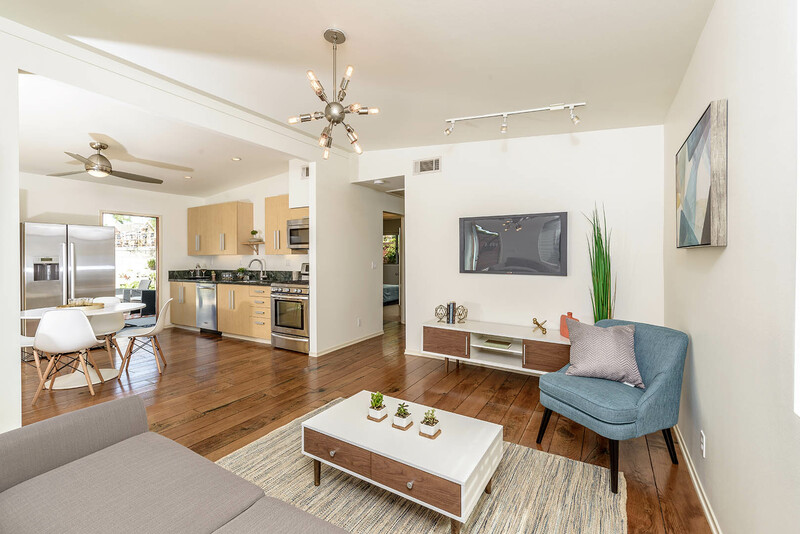 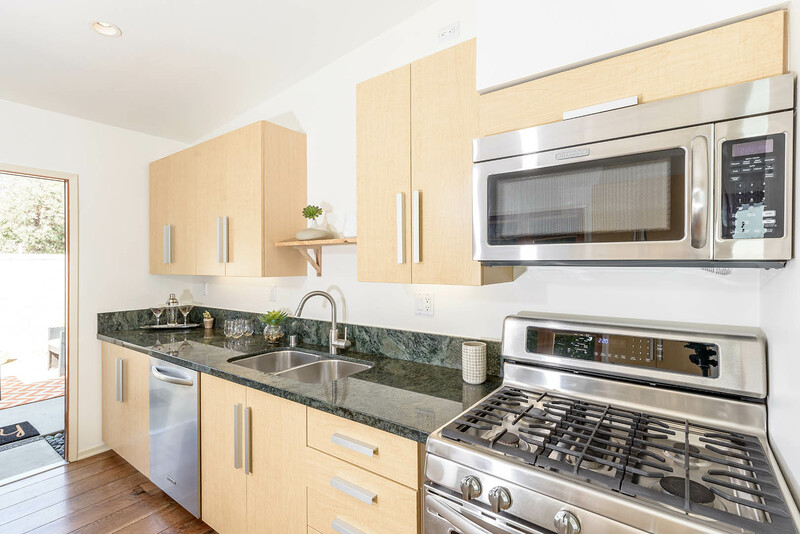 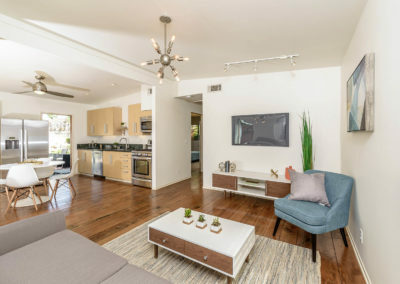 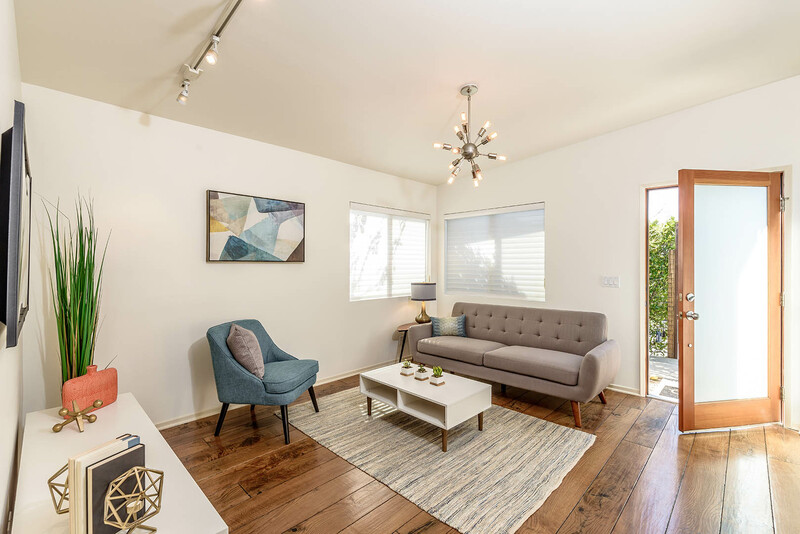 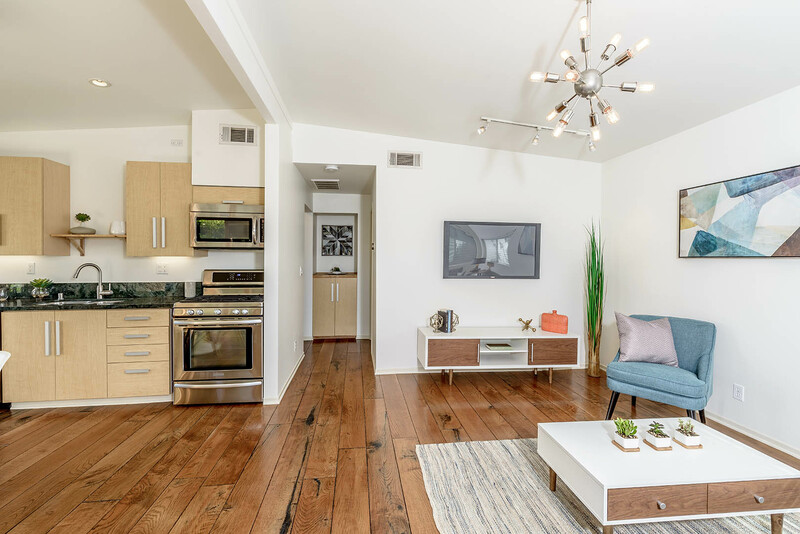 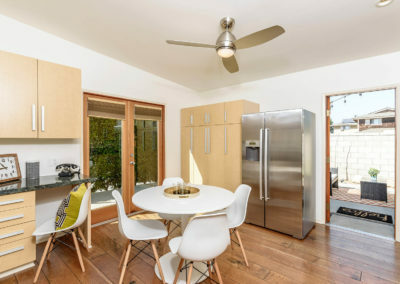 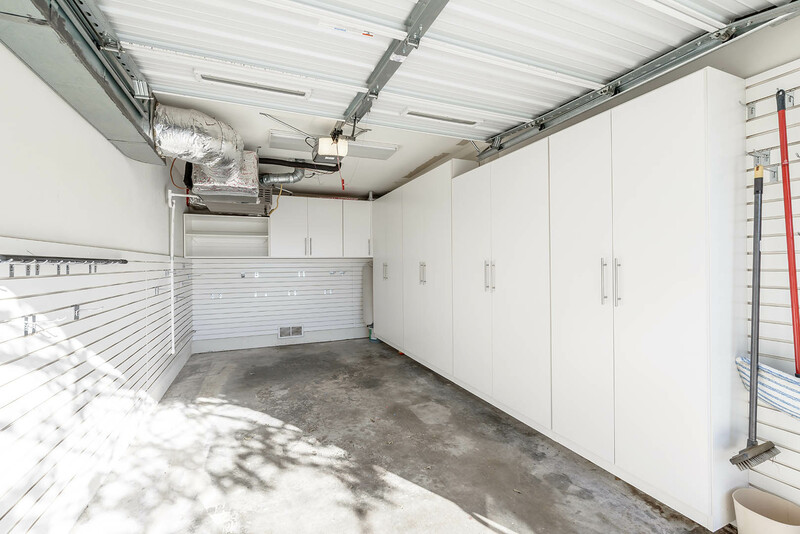 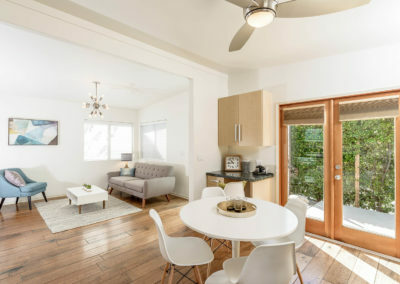 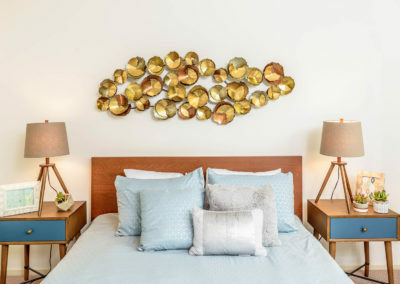 Completely remodeled to the studs in 2007, this mid-century modern turnkey property is the prime corner unit of 1.7 Ocean, a 12-unit luxury community aptly named for its close proximity to the ocean (a mere 1.7 miles away). 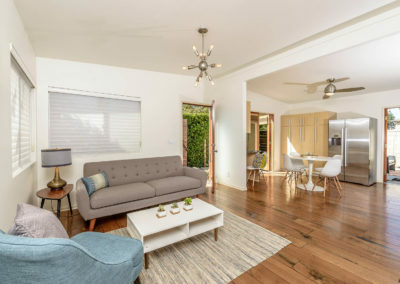 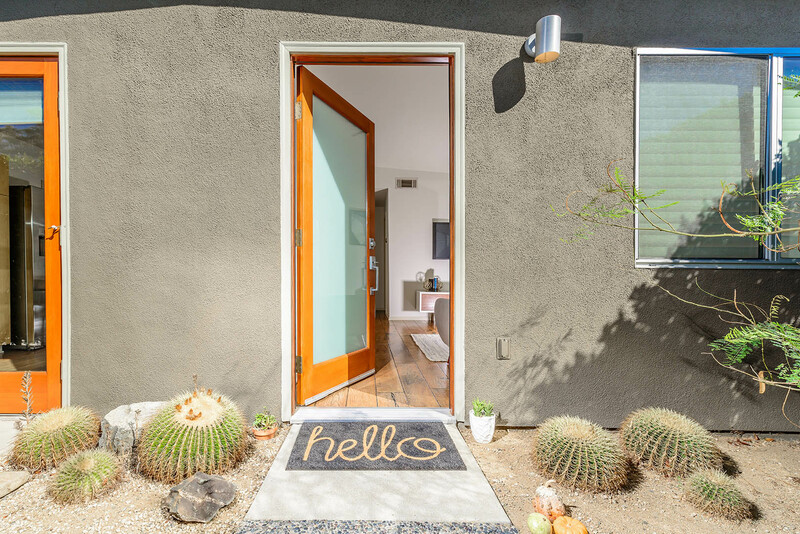 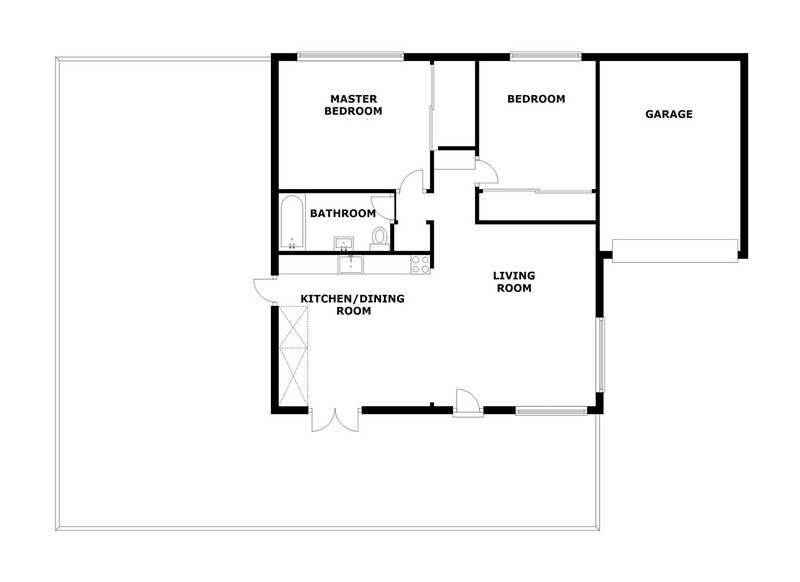 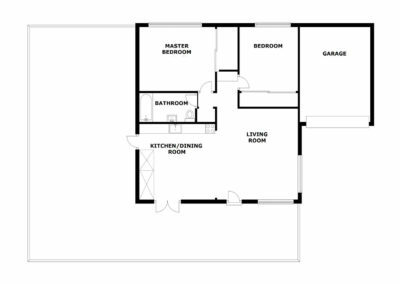 Enjoy unparalleled indoor-outdoor living with stained doorways and french doors connecting the living areas to the expansive and private gated front entrance, corner yard and block wall enclosed private patio; or close up and enjoy the brand new AC. 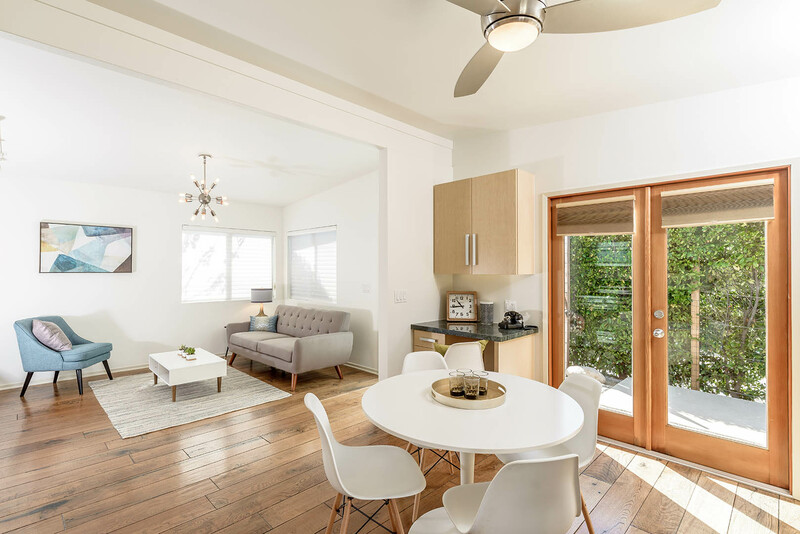 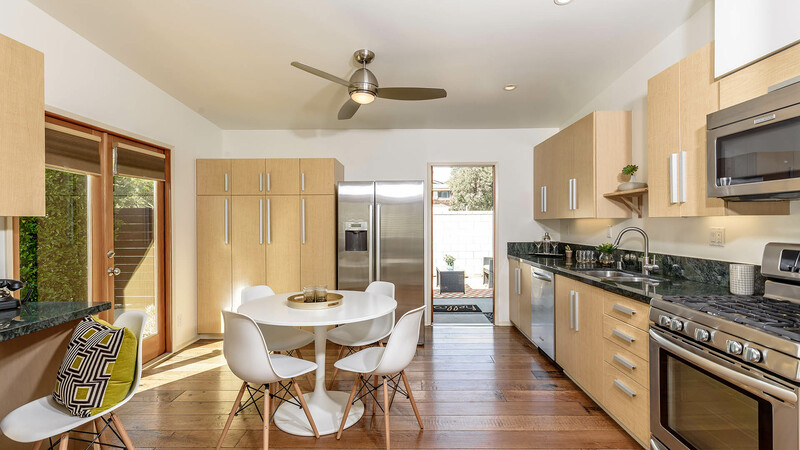 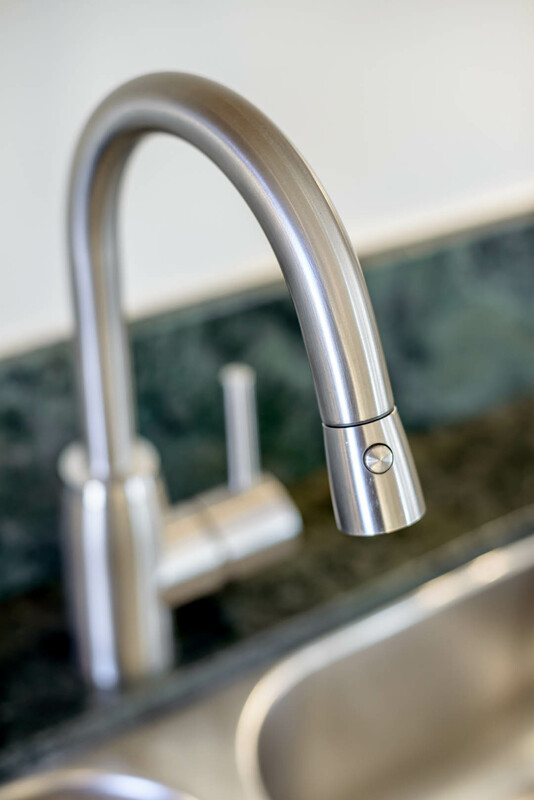 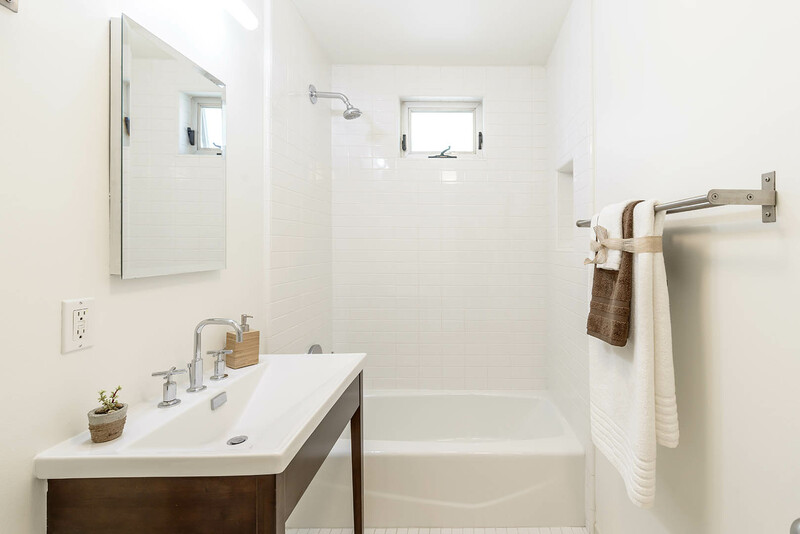 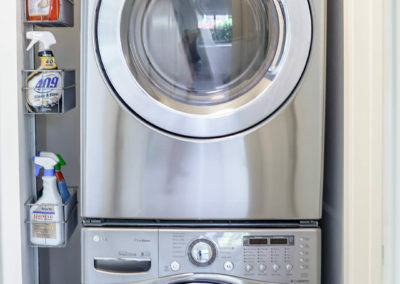 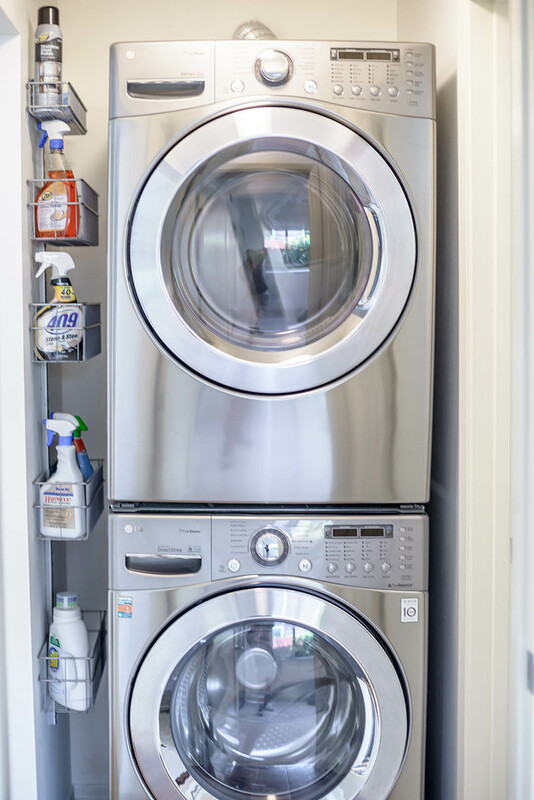 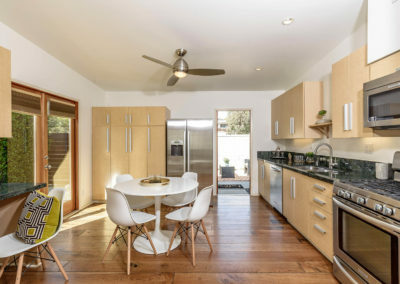 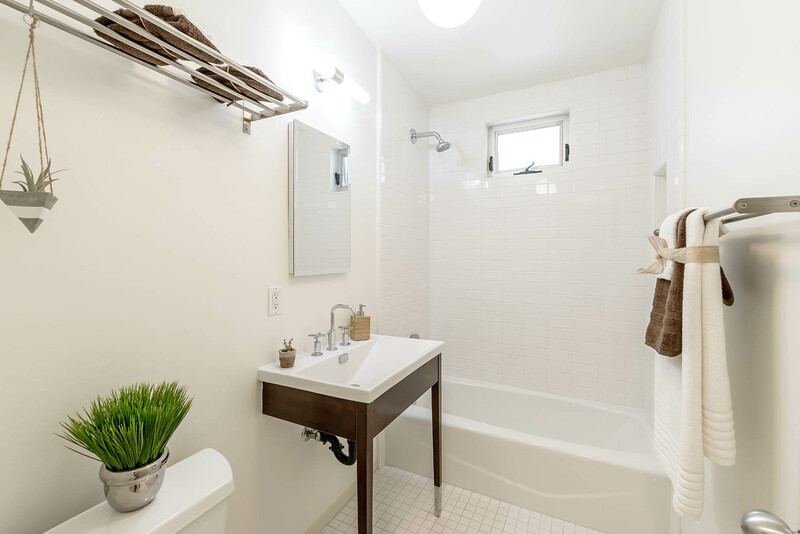 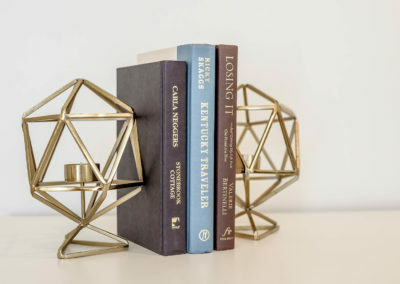 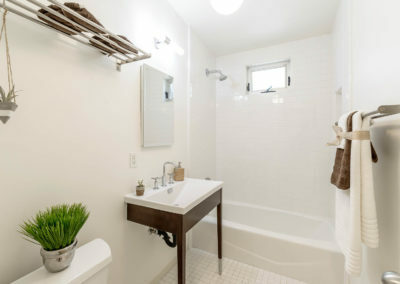 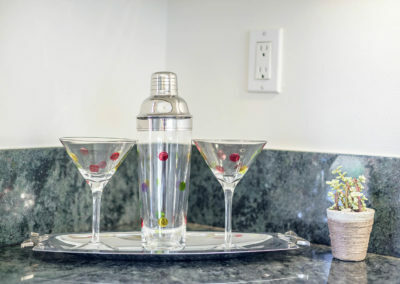 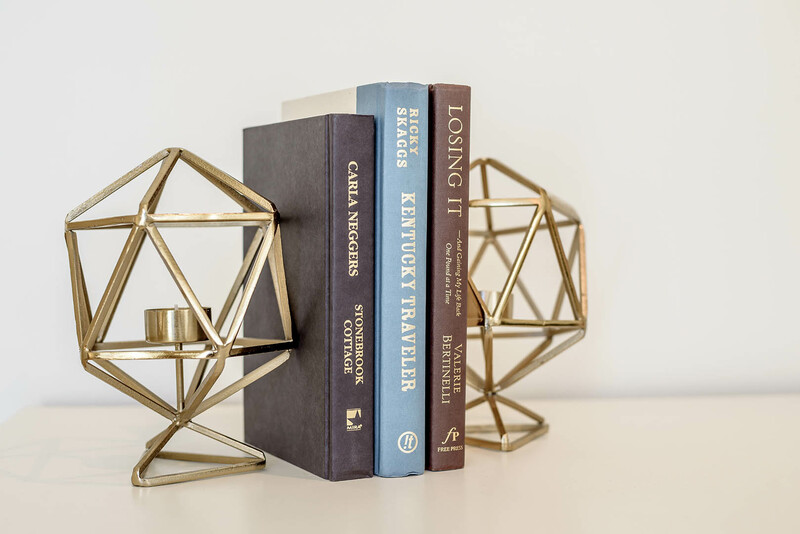 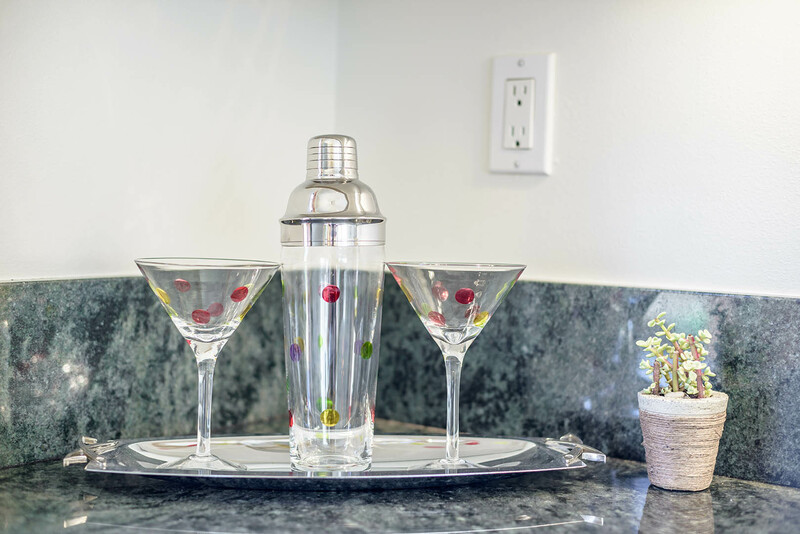 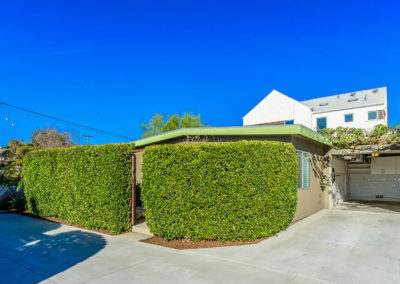 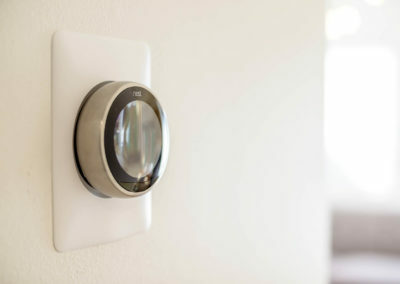 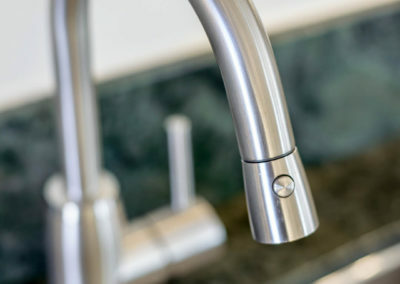 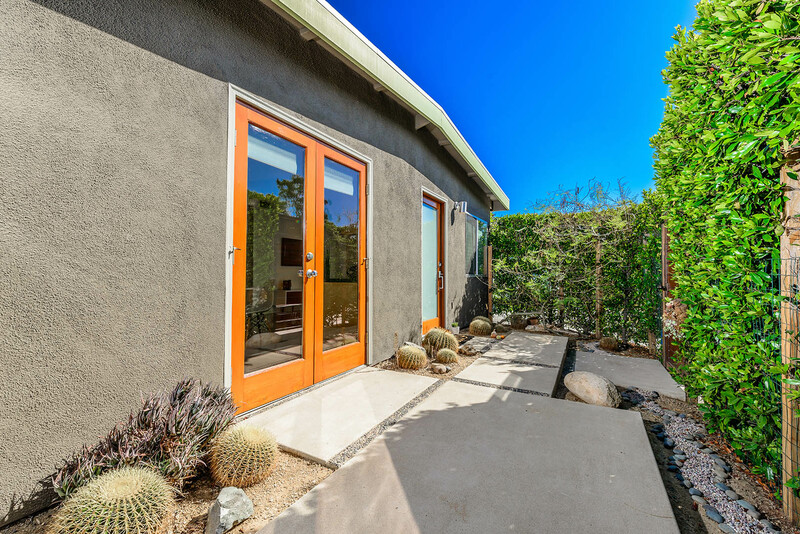 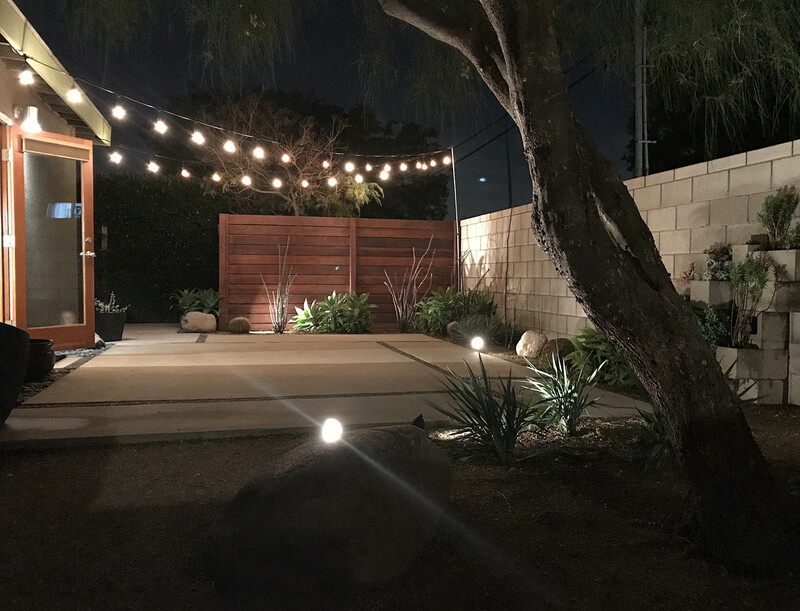 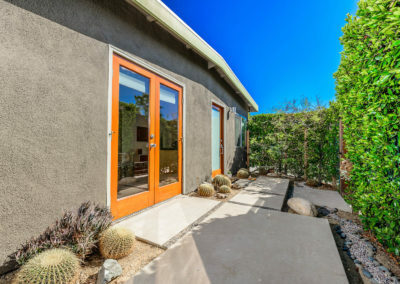 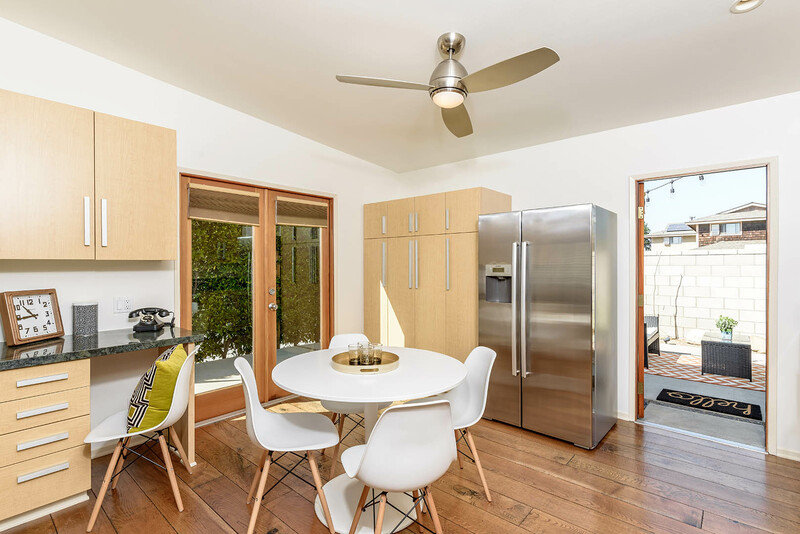 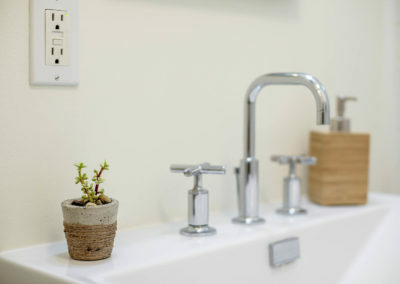 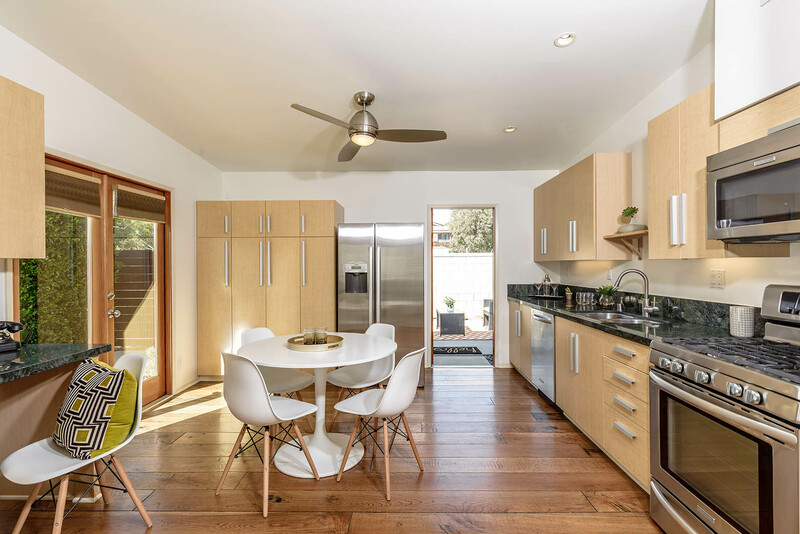 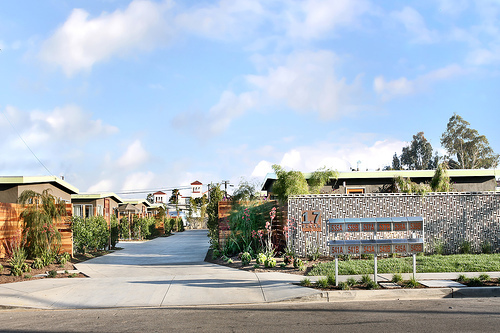 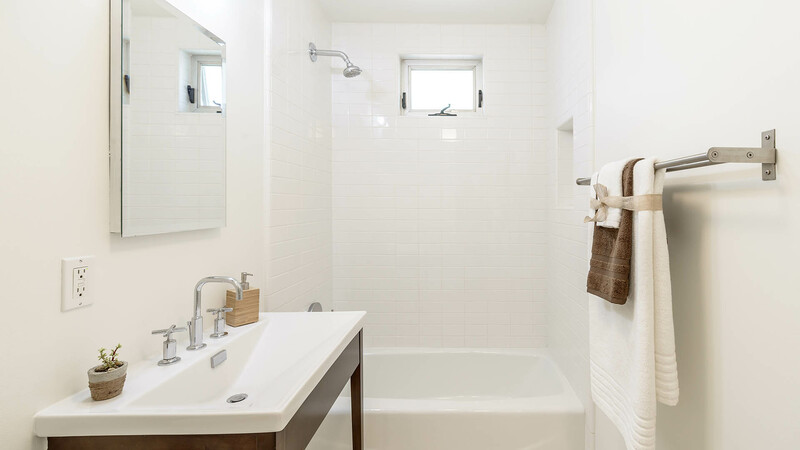 The 2007 renovation included new plumbing, electrical, dual-pane windows, fixtures, finishes, opening the floor plan, hardwood flooring, tiled shower, California native landscaping, tankless water heater and more. 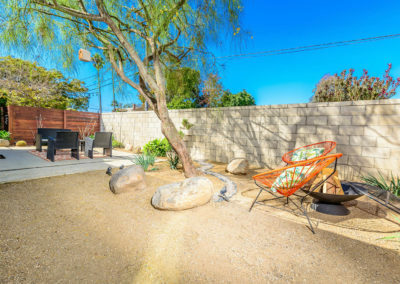 Current owners have further upgraded with brand new air conditioning, exterior paint, refinished doors, stainless appliances, Emerson ceiling fans w/ remotes, restoration hardware lighting fixtures, custom garage cabinetry and storage, landscape irrigation and lighting systems, extensive designer landscape and hardscape, French doors, kitchen LED ambient lighting and new blinds throughout. 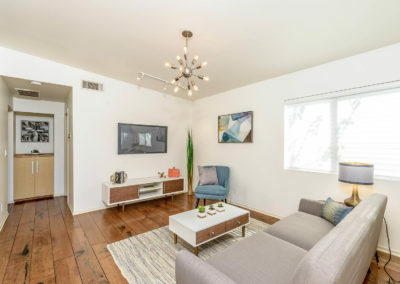 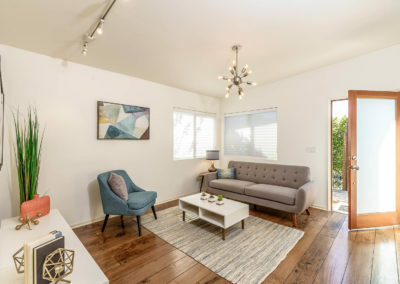 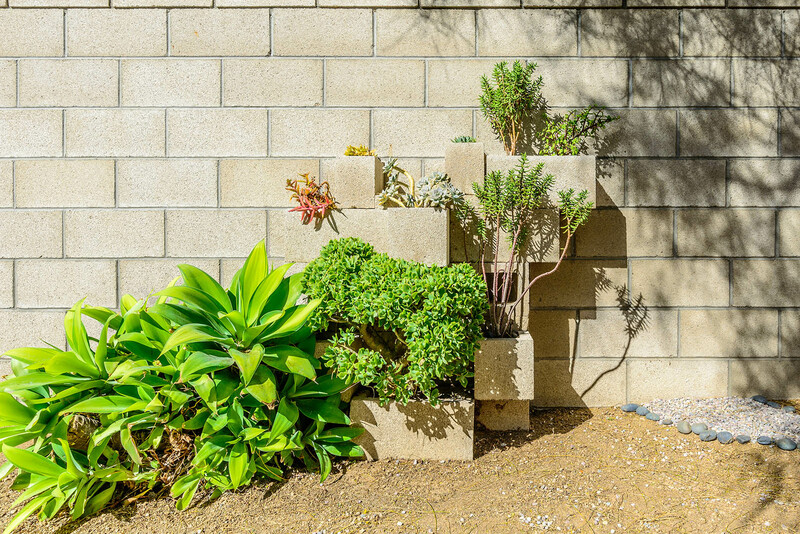 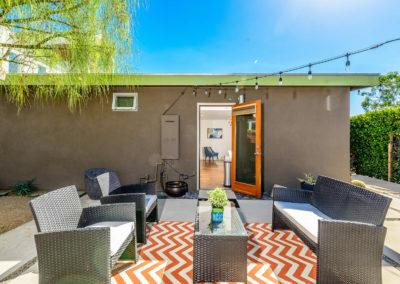 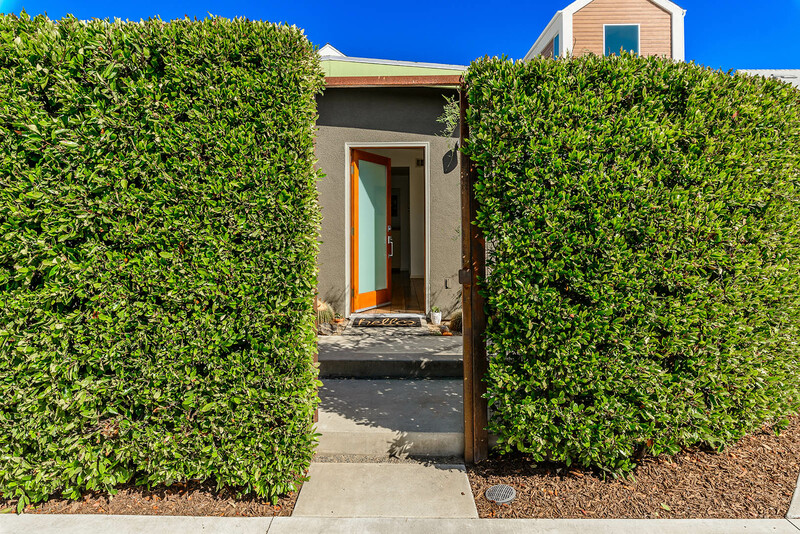 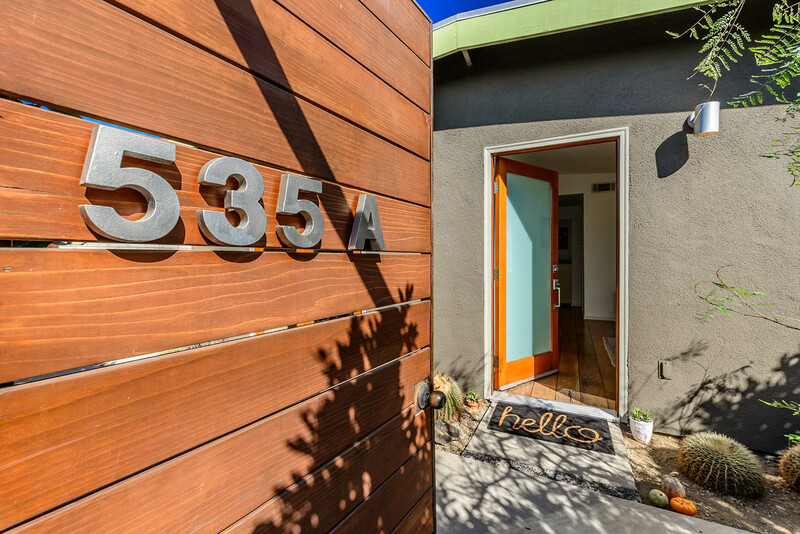 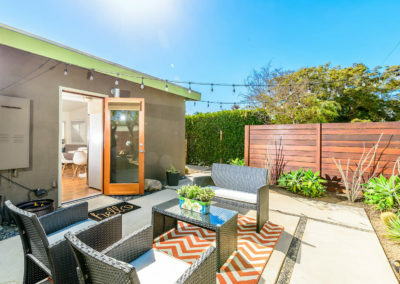 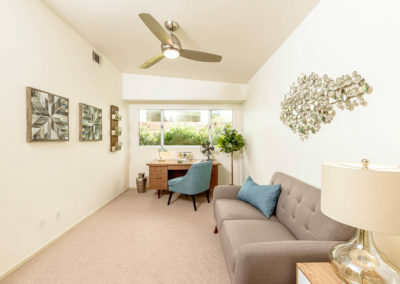 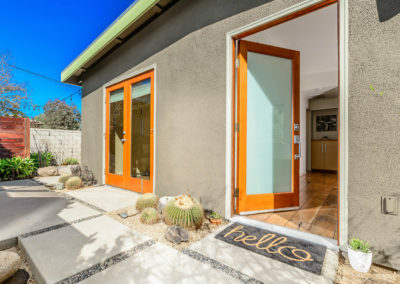 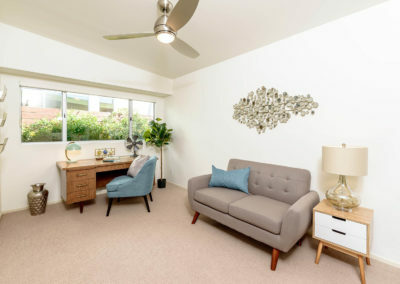 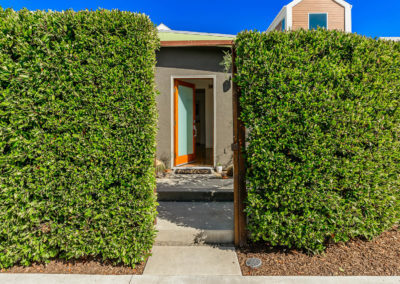 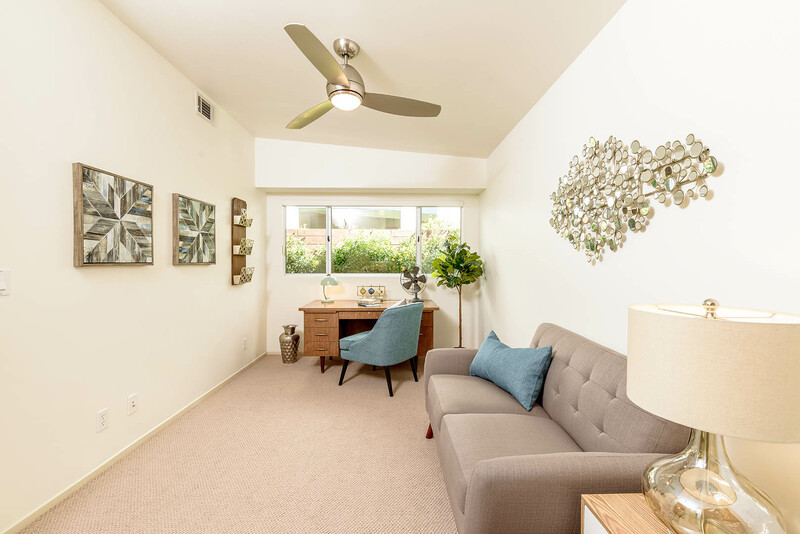 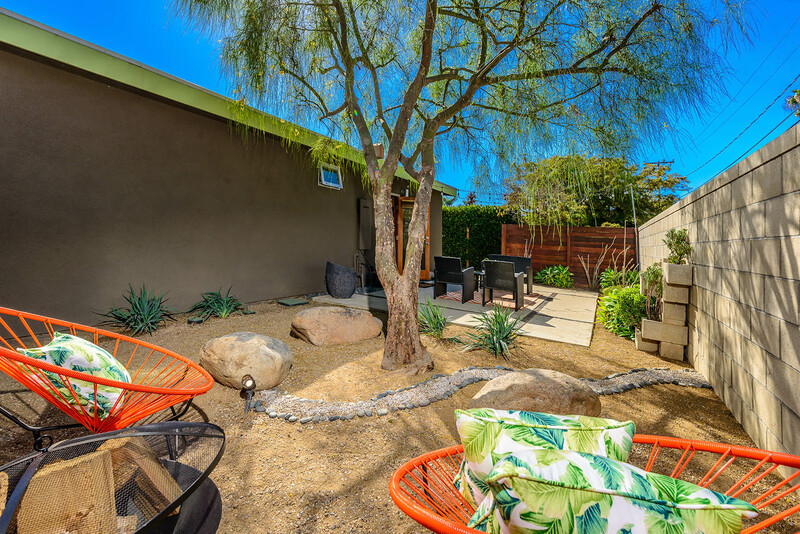 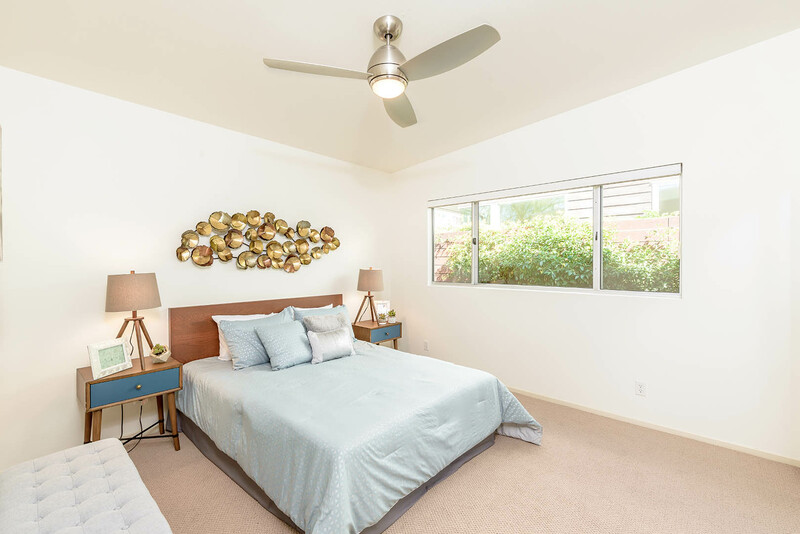 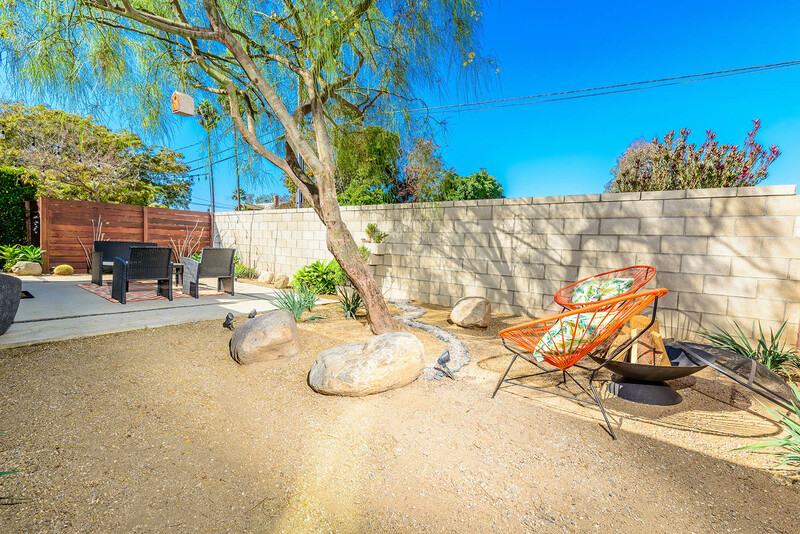 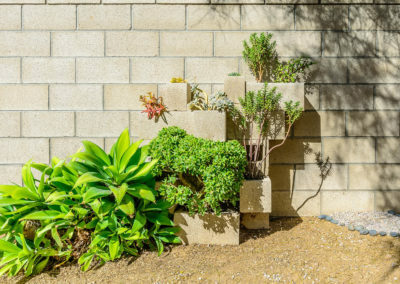 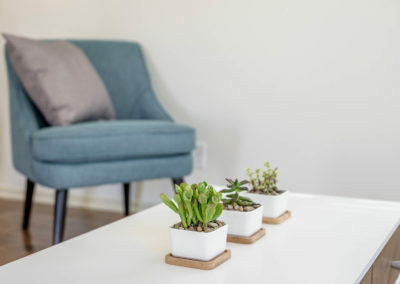 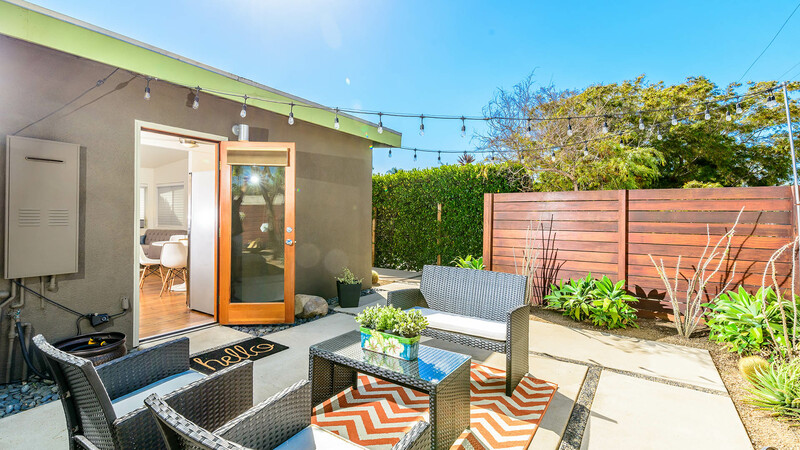 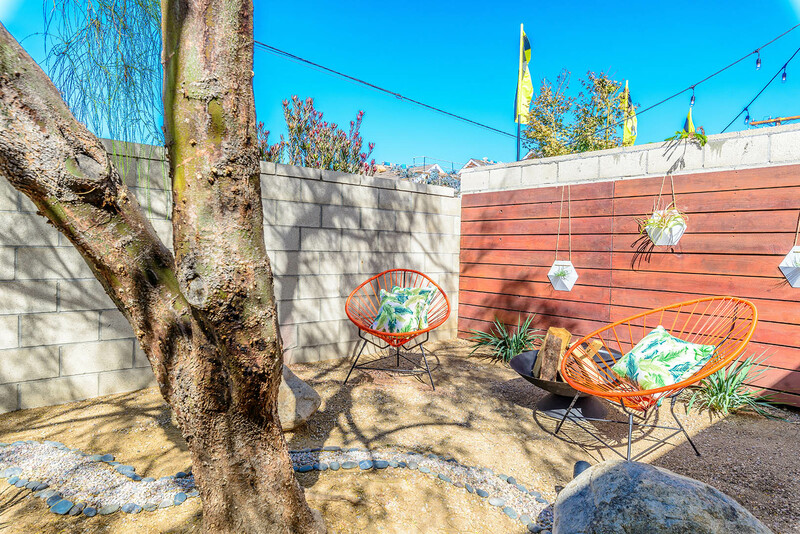 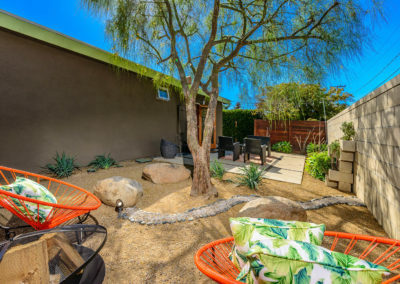 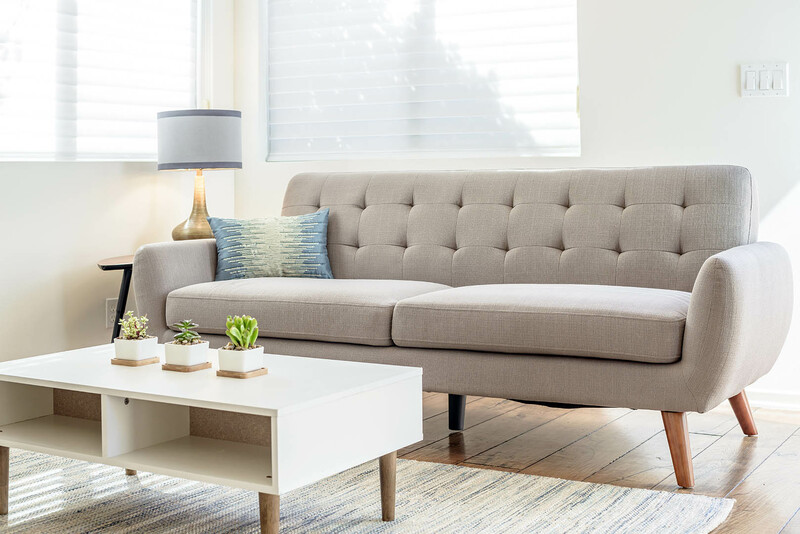 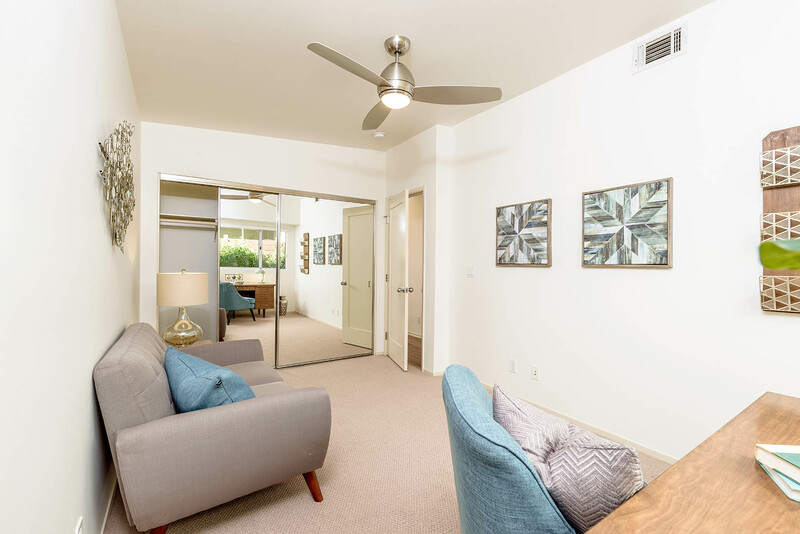 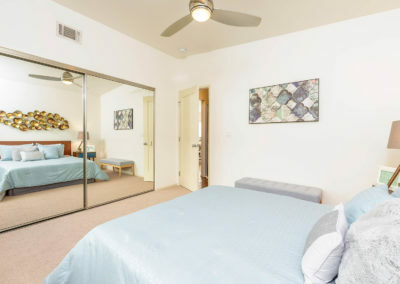 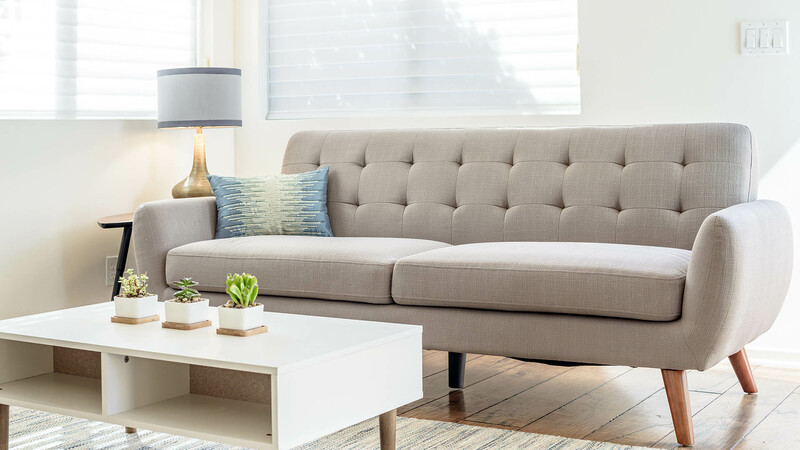 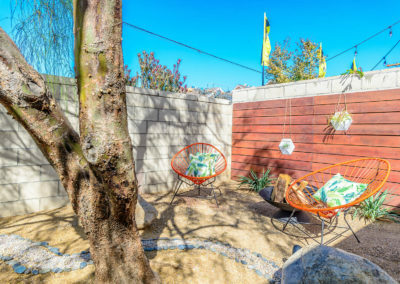 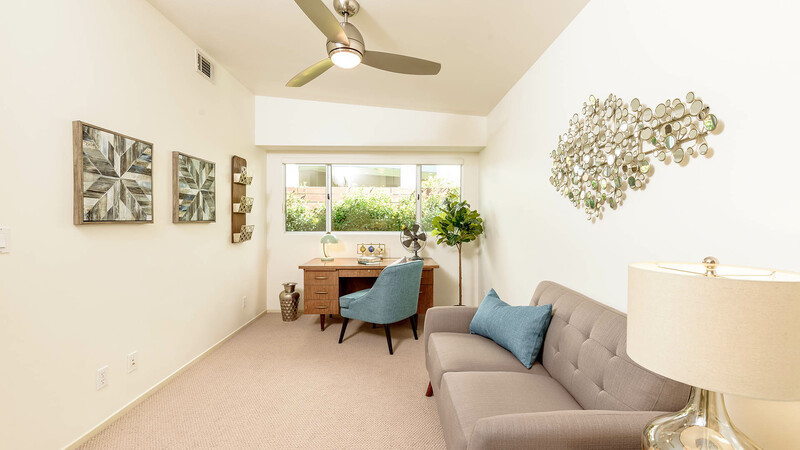 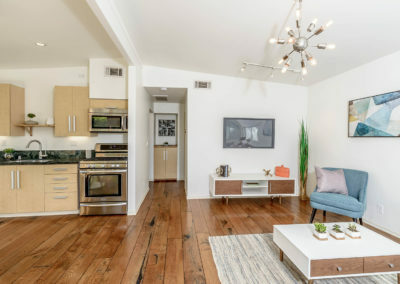 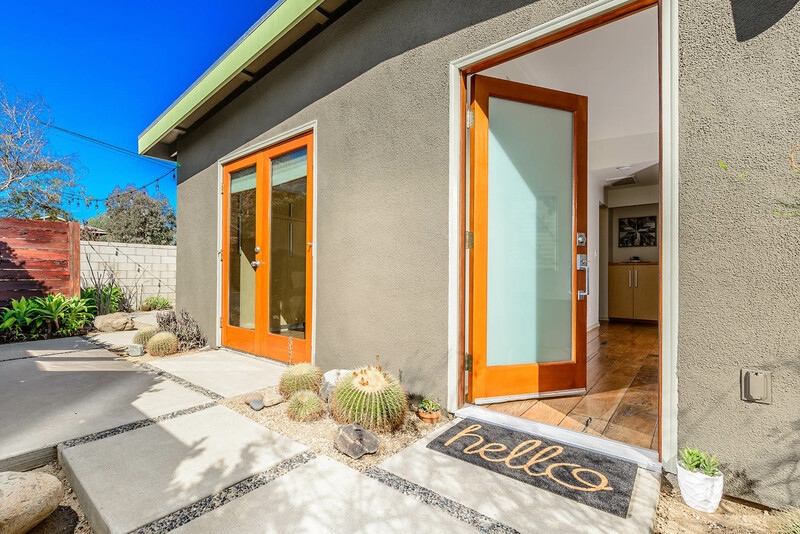 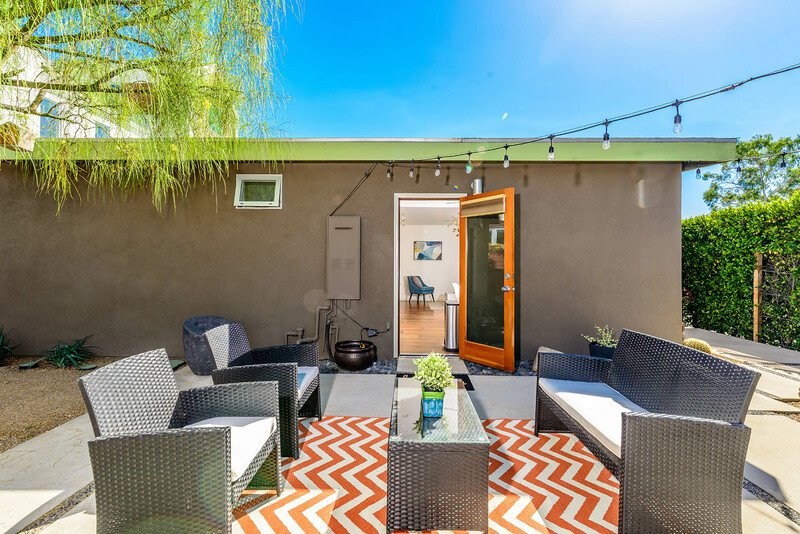 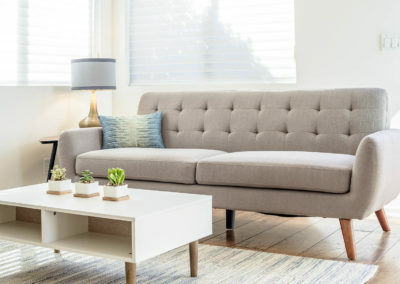 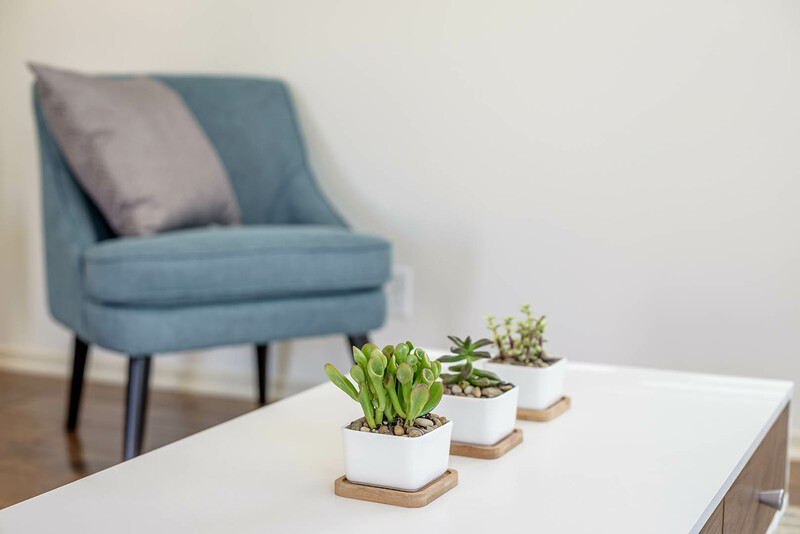 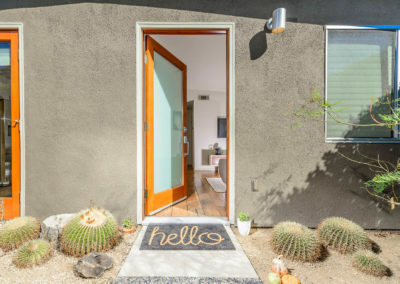 Located in the heart of Costa Mesa, this burgeoning area is walking distance from countless dining and entertainment venues, including The Triangle, earning a “very walkable” ranking from WalkScore®. 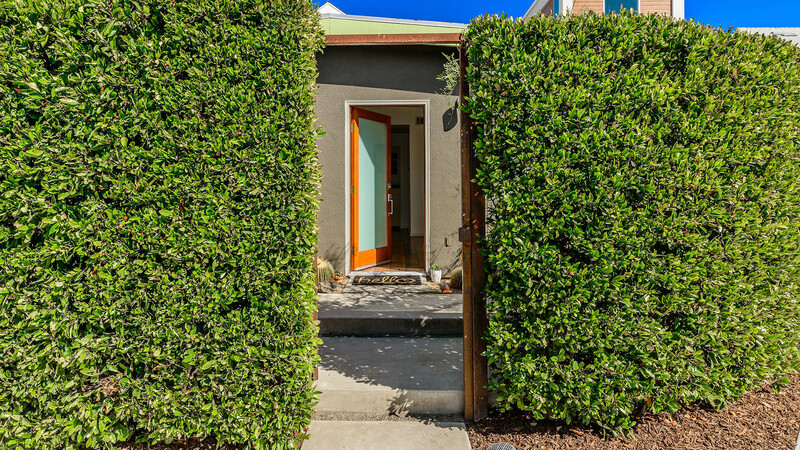 A unique property unlike anything else – to live or generate income, this is an ideal home.